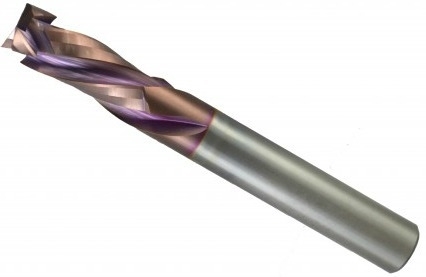 3/8" 2 Fluted MOAB Coated Compression Bit with 3/16" Mortise upcut. Used to cut double sided laminated material, melamine, natural wood as well as veneered plywood. Designed to give a superior edge quality both top and bottom of your material. The MOAB coating is to further extend tool life by reducing the damaging effects of heat and oxidation that occurs during cutting.